Derrick Kosinski & Scott Yager are joined by Adam King. Adam King (@AdamKingMTV) joins Derrick (@DerrickMTV) and Scott (@SHOTOFYAGER) to discuss his time on the Challenge, why he feels bad about his performance Rivals, whether he still watches the show, why he wants back on and what music mogul is currently his boss. Brooklinen is giving Maniacs $20 OFF and FREE SHIPPING at www.Brooklinen.com/Mania - They ... See More really are the best sheets! 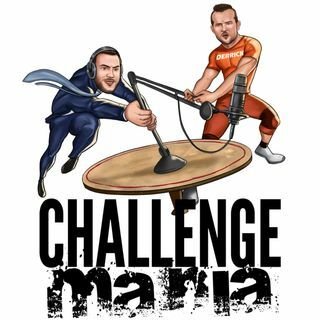 For more Challenge Mania, check out www.Patreon.com/ChallengeMania. Adam getting choked up about Diem got me teary eye. Would love to have him back on! Love this OG interview of Adam King glad to hear from him thank you so much for getting him!